Are you looking for furnace replacement in North NJ? If so, 1st Choice Plumbing, Heating and Drain Service provides homeowners and business owners with fast and efficient furnace services. At 1st Choice Plumbing, Heating and Drain Service, we are a fully insured, licensed and bonded plumbing and heating company capable of performing a wide range of services. With our reliable furnace replacement, you can be sure your property will maintain a comfortable temperature throughout the winter season. Waking up to frigid temperatures or walking into a cold office are not ideal environments to live in and be productive. At 1st Choice Plumbing, Heating and Drain Service, we will respond to your furnace emergency as soon as possible to take away your discomfort. Our heating experts will inspect your furnace and determine the extent of its malfunction. We will then discuss whether your furnace needs individual parts to be replaced or whether you need a complete furnace replacement in North NJ. When a furnace stops providing heat, there are many parts that could have malfunctioned including the belt, ignition, pilot light, fan motor or wiring. No matter which part has broken or failed to work properly, our heating experts can provide you with a fully functioning furnace in no time. We carry top furnace brands that are guaranteed to last for years. Our furnace services are available 24 hours a day, 7 days a week for your heating emergency. For more information on furnace replacement in North NJ, call 1st Choice Plumbing, Heating and Drain Service at (201)288-0390! 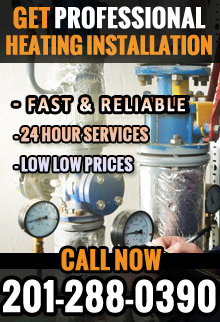 1st Choice Plumbing, Heating & Drain Service – Your trusted source for Furnace Replacement in North NJ.